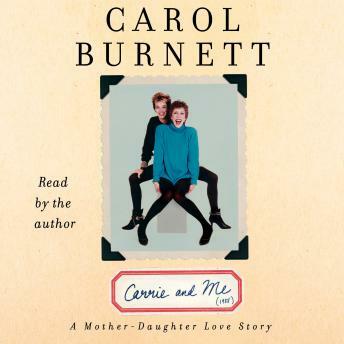 In this beautiful and poignant tribute to her late daughter, award-winning actress and New York Times bestselling author Carol Burnett presents a funny and moving memoir about mothering an extraordinary young woman through the struggles and triumphs of her life. Despite her busy schedule, Carol Burnett always made time for her three young children. But her oldest daughter, Carrie, faltered in adolescence, losing the self-esteem that had fueled her popularity and success in school and hiding her pain in a downward spiral of addiction. As Carrie became lost to drugs, Carol found herself with a daughter in grave danger and a marriage that was bending under the pressure. Carrie eventually broke free from her addiction. Like her mother, she had a wonderful sense of humor and became a successful actress, singer, and writer, even writing a play about Carol’s childhood. But tragedy struck again when Carrie was diagnosed with cancer. She died at the young age of thirty-eight, leaving a legacy of kindness, creativity, and joy along with a short story that mirrors her own journey, published for the first time in this book. In Carrie and Me, Carol Burnett shares her personal diary entries and correspondence revealing her anguish as a mother of a troubled teenager, the epiphanies that helped her help her family, and the grief and then the hope she felt after Carrie’s death. Through Burnett’s inimitable voice, we get a portrait of an unforgettable young woman that will bring hope to anyone struggling with raising or losing a child.